TANZANIA – ASAS Dairies Ltd, a private dairy processing firm in Tanzania is contemplating on introducing Journalist Award to enhance growth in the sector by promoting existing opportunities as well as attract investments. According to Daily News, the award would motivate journalists to write more about prospective opportunities in the sector, in the long-run boost investments from both the private and public investors. “As key stakeholders in the sector, we have found it appealing to recognize and honour the contributions of journalists in creating awareness on opportunities available in the sector which is crucial in employment creation,” said Mr Faud Abri, the firm’s Managing Director. ASAS Dairy is part of the Southern Agriculture Growth Corridor of Tanzania (SAGCOT), a pioneering initiative of the Government of Tanzania to mobilize US$2.1 billion in new private sector agribusiness investments. This is part of the company’s efforts in ensuring rapid and sustainable growth in smallholder agriculture, where earlier Mr Faud Abri called on the government to focus on the dairy industry, citing its potential to drive the country’s economy. The award will help to stimulate and positioning it as one of promising sectors of economy by unveiling the sector’s wide value chain including products from farmers and factories. Mr. Abri had also blame a lag in the sector on tendency of the government institutions of using imported powder milk instead of local dairy products that are of better quality. He further commended President John Magufuli’s commitment to prioritize locally produced goods and emphasizing industrial economy. 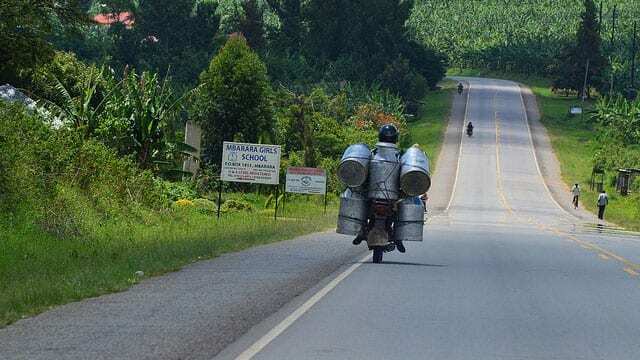 FAO reports that marketing functions of the dairy industry in the country seems to be lagging behind in spite of a rapid increase in the number of small scale milk producers and expanding demand for milk. While Tanzania has the third largest cattle population in Africa, after Ethiopia and Sudan, the sector is being underutilized although it has the potential to improve living standards and incomes from milk.